Top Dogs Training Program - Tools - Resources - Allied Commercial Real Estate, Inc.
"Top Dogs is likely the single best commercial real estate training investment that we have made over the past seven years in terms of providing value to our agents. Top Dogs is a quality sales training program that is designed specifically for commercial real estate. The program is sure to kick start new commercial real estate agents, as well as to motivate senior agents to fine-tune their approach and improve their effectiveness." 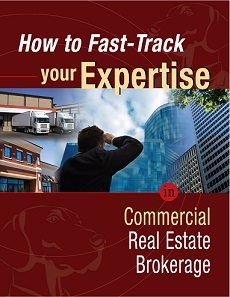 "How to Fast-Track Your Expertise in Commercial Real Estate Brokerage"
How to Fast-Track Your Expertise in Commercial Real Estate Brokerage is the fastest way to build the knowledge necessary to compete in the market as a commercial real estate agent. It's a 15-session course. Each session is between 60 and 90 minutes long and is delivered through high-quality video on DVD. As a participant, you'll also receive a 500+ page manual that contains all of the notes, samples, scripts, exercises and assignments for each session. While you're welcome to use it as you wish, the recommended use involves watching a video lesson each morning. Then, throughout the remainder of the day, you'll complete the tasks and assignments outlined in the video. These actions will give you real-world experience with the concepts taught in the video and will also integrate your local market knowledge and conditions into the topics presented. At the end of the day, you'll review the topics presented to fully integrate the learning. Following this format, five days per week, for three weeks, will give you the knowledge and expertise in commercial real estate that many third and fourth-year agents do not possess. During these three weeks you'll learn about every major commercial property type, each of the common transactions, your roles in executing each transaction, the financial calculations commonly used in commercial real estate, the tools you'll need for success, and the people you need to get to know to be successful. Upon completion of the course you'll have the necessary knowledge to begin building your practice and earning money.